In this video, Dubspot Instructor, DMC World Champ, producer and demanding critic of sandwiches DJ Shiftee shares one of his most prized possessions – his Maschine mapping file for Traktor! In part one, he demonstrated an incredible routine using Joker’s “Slaughterhouse” track. In part two, he went into the complex world of LED mapping and modifiers. And now for the final installment of the Shiftee Trilogy, our generous instructor takes you through his Maschine settings, offering a detailed explanation of his mapping and shows you some very cool options for mapping to pads along with some basic functions for cue points setting, looping and syncing. 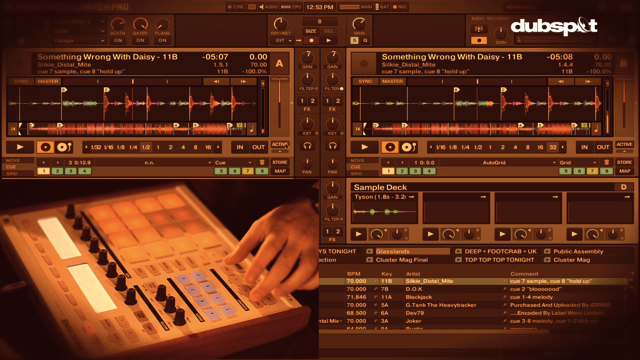 Enter your email address to download DJ Shiftee's Maschine mapping for Traktor. The music playing in the background at the beginning of this video tutorial is the lead track from Rx & Shiftee’s Space Ace EP. Earlier this week, the remix edition of Space Ace Remixes came out courtesy of Rad Summer. You can stream the entire EP here. Digital DJing w/ Traktor Pro 2 Program starts February 5th Online. MASCHINE Program starts in NYC January 30th and Online the week of January 22nd. thanks Shitee! u da man! thanks Shiftee! u da man bro!!! That’s one awesome Mapping but i got issues with it. When i turn for example one effect on with this mapping i have to press the Button twice for turning the effect of. can someone help me with that?